For years, dairy has gotten a bad rap. Misinformation, half-truths and other are prevalent, and can lead to omitting dairy from your diet needlessly. 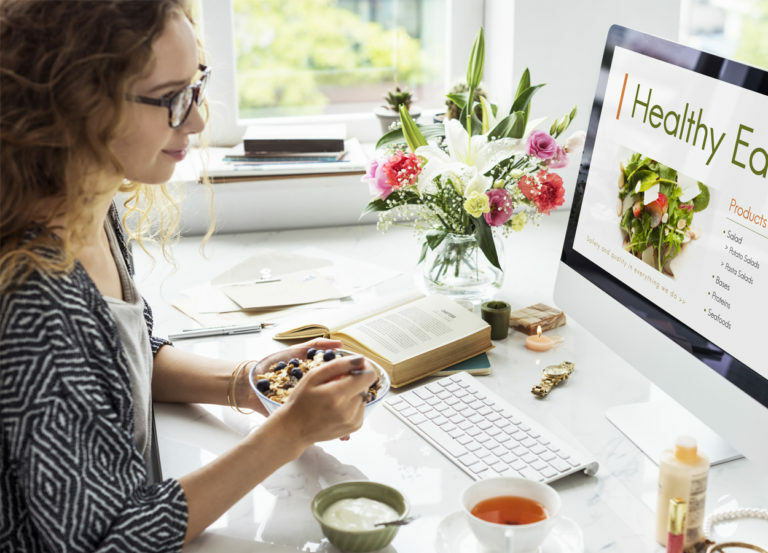 Click To Tweet According to the American Dietetic Association, these following nutrition myths can have an adverse effect on your nutrition. Ready to bust a few myths you may have accepted as fact? 1. 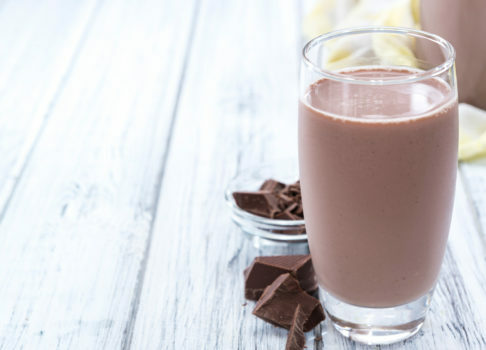 Chocolate milk is full of sugar. Do you remember the joy you felt as a child when your mom would pour you a big glass of chocolate milk? Somehow, it made the day seem a little brighter. Over time, however, she may have begun to switch your drink to “white” milk, in an effort to reduce the amount of sugar you consumed. In reality, however, chocolate milk (and other flavored milks) only contain 3% of the added sugars in a child’s diet. Over half of the sugars found in milk is natural sugar (lactose). It still contains the same proteins, calcium and other nutrients found in white milk. 2. Soy, almond or rice milk is a good substitute for cow milk. While these plant-based milk products can be a good alternative for those with allergies, they do not naturally contain certain nutrients. Milk is a good source of protein; it provides eight grams of protein per cup. In addition, it naturally contains calcium, potassium, and other nutrients. 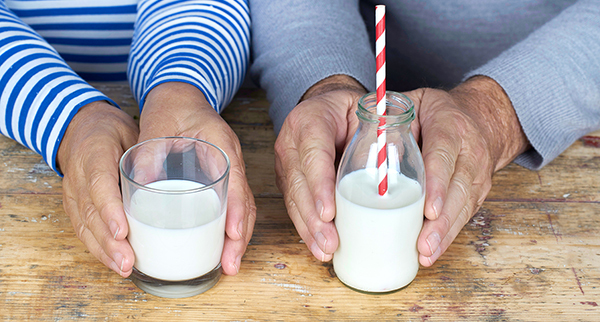 Alternative drinks are often fortified with nutrients, but they do not provide as many health benefits as cow milk. 3. Dairy products lead to weight gain. For years, dieters have avoided dairy products under the guise of managing their weight. Contrary to that philosophy, however, studies have shown that increased consumption of dairy products can actually enhance weight loss. People who consumed 3 – 4 servings of dairy in conjunction with a reduced-calorie diet lost a greater percentage of weight than those who avoided dairy. 4. Hormones in milk can cause early puberty. Pediatric health experts have determined that there is no evidence to support the idea that rBGH affects human growth and development. Milk produced on conventional farms is tested multiple times during processing. Cows that may require antibiotics are separated from the herd, and their milk is discarded. Their milk is only allowed to be used once the antibiotics do not show up in the milk. 5. Calcium supplements are a good replacement for dairy. Calcium is an essential mineral for bone development and healthy heart and muscle development. While supplements can be a helpful source of minerals, they are not the most effective way of getting the minerals your body needs. In many cases, people fail to take them consistently or they don’t take the correct dosage to get the amount of nutrients they need. Most people who eat a variety of natural foods, including dairy rarely need additional minerals or supplements. Dairy products are a healthy source of protein and other nutrients and minerals. People who regularly consume dairy, including cheese, milk and yogurt, are generally healthier and have better overall diets. Have you given up dairy in an effort to be healthier? Pour yourself a big glass of chocolate milk. The future for dairy is bright again.